Nascenia got awarded for the National Productivity and Quality Excellence Award 2017. 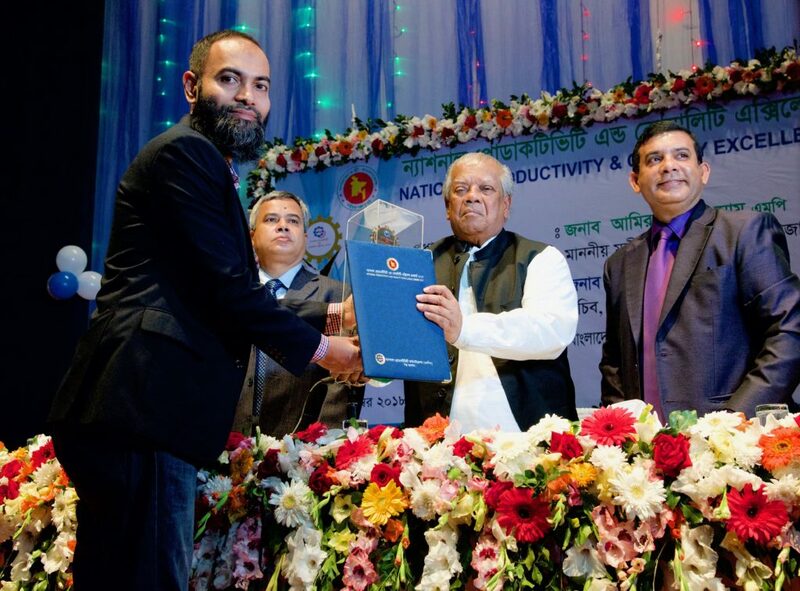 The award giving ceremony was held on 11 December 2018 by National Productivity Organization (NPO) of the Ministry of Industries Bangladesh. Mr. Shaer Hassan, the CEO of Nascenia Ltd., received the award and the certificate from the honorable Minister Mr. Amir Hossain Amu at a ceremony at the Bangladesh Institute of Administration and Management (BIAM) Foundation auditorium. 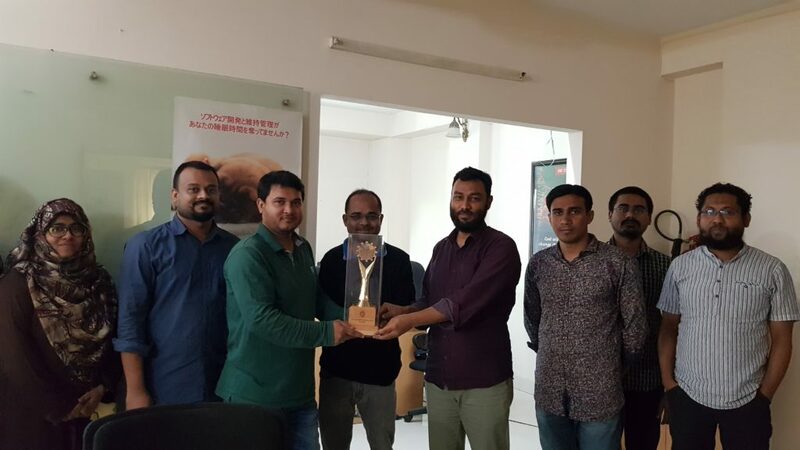 It was the fifth edition of the award which was given by the Ministry of Industries of Bangladesg in six categories namely large industry, medium industry, small industry, micro-industry, cottage industry, and state-owned enterprises. We are so proud to be alongside with some top companies in Bangladesh like Square Pharma, BSRM, BRB, Envoy Textiles and 11 other companies. 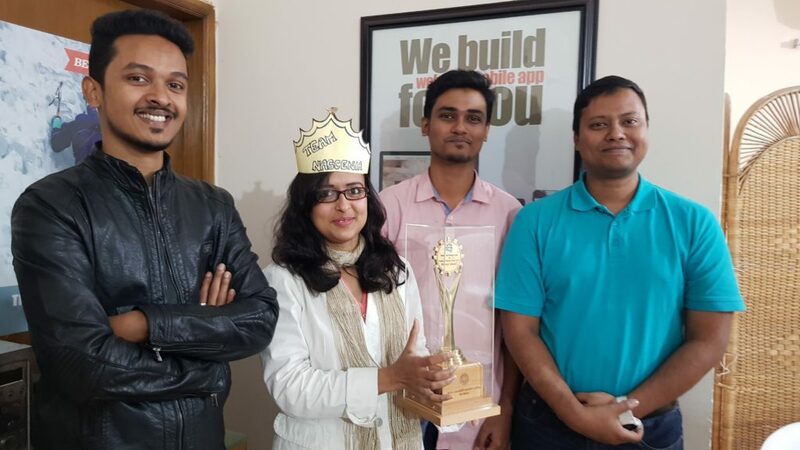 The trophy is in our office now and every one of our team lifted it and we celebrated the joy altogether. We believe this award will be a great motivation for the team! Nascenia helped over 100 companies to make their software across 20 countries of the world. Click here if you’re interested in learning more about us. Also, drop us a message if you want to find the perfect solution for your application. We’ll help you to make the right choice.